Pizza is a lot of things to a lot of people. For some, it’s purely sustenance. For others, pizza is their favorite meal, and thus scrutinized and analyzed. For those in the industry, pizza is a way of life and a way to make a living. Yes, pizza is prevalent in our society, but one area I have not seen discussed is pizza’s role in modern fine dining. A recent article in PMQ magazine had me pondering pizza as not only a flavor and aroma experience, but also as a visual work of art. I bring a unique perspective to this topic as a foodie that has no problem sitting down and experiencing a 20-course tasting menu, where visual presentation plays as important of a role as taste does. However, I also love pizza and work for one of the most reputable pizza pan companies in the industry. 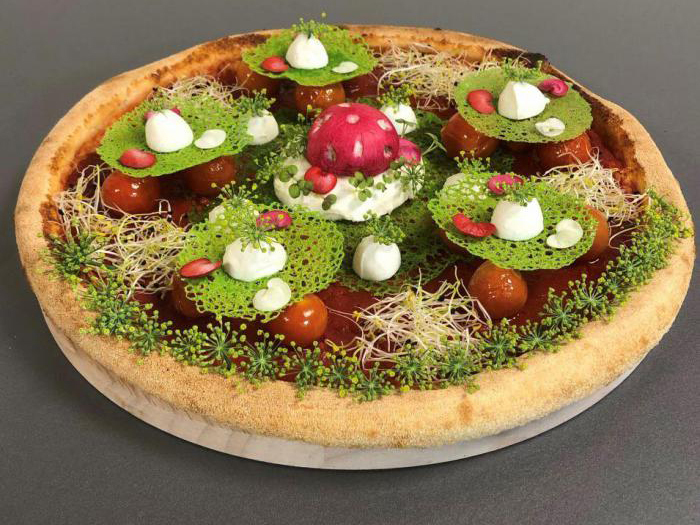 These two culinary worlds have never merged for me until I read the article on France’s Top Ten Most Beautiful Pizzas. I highly recommend going there now and checking out the pictures. They are beautiful, composed and mind-opening. 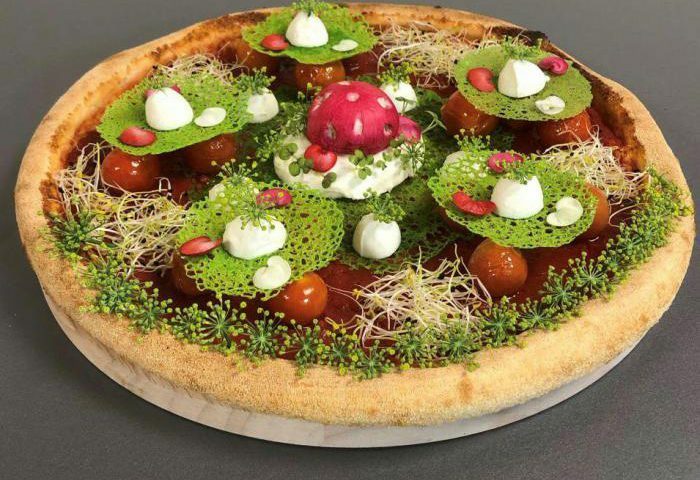 They made me ask myself, why shouldn’t pizza push the boundaries of gastronomy and prioritize a visually-stunning presentation? For example, take a look at the L’Interdite (The Forbidden) entry. 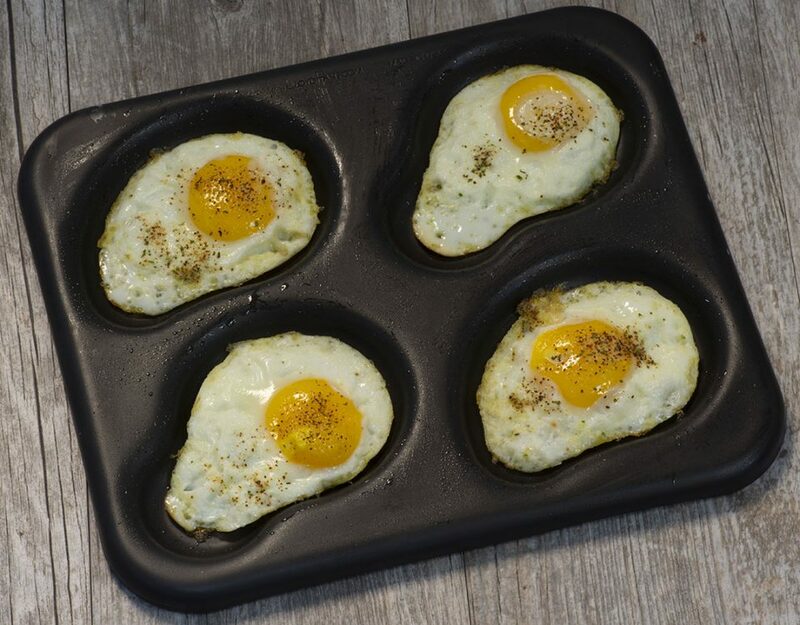 At a glance, it doesn’t even appear to be a pizza. It looks more like a landscape from Middle Earth. However, look at the ingredient list: cherry tomatoes, basil, mozzarella, fennel, mushrooms, etc. Sound familiar? Just looking at the ingredients, this could be any pizza, but the application of techniques to traditional ingredients elevates this pie to a modern culinary achievement. 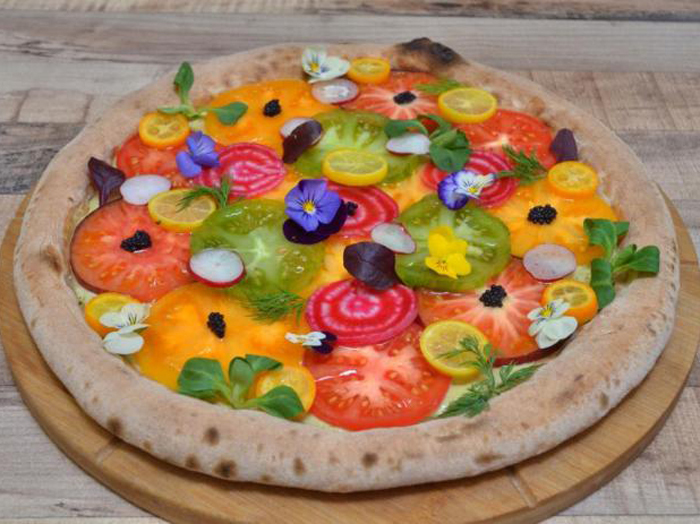 Seeing that one pizza alone convinced me that pizza can play a role in modern fine dining. However, the taste has to be there. While I may cut a chef some slack on a course of fermented beans with chicken skins, if you’re serving me an elevated slice, I want to be able to understand the tradition of the pizza while appreciating how it’s being pushed forward.